Remember the post about some cracking pizza spots in Antwerp? Otomat is definitely my favourite one, mainly because they have a delicious vegan pizza on their menu. A pizza without tomato sauce and mozzarella might sound boring, but trust me, this one definitely isn't. 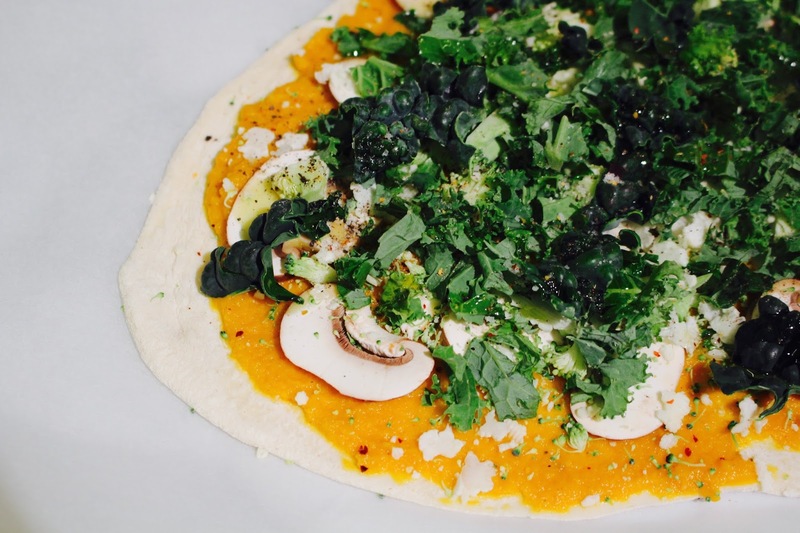 The combination of the creamy carrot puree together with the crispy vegetables on top is just perfect. 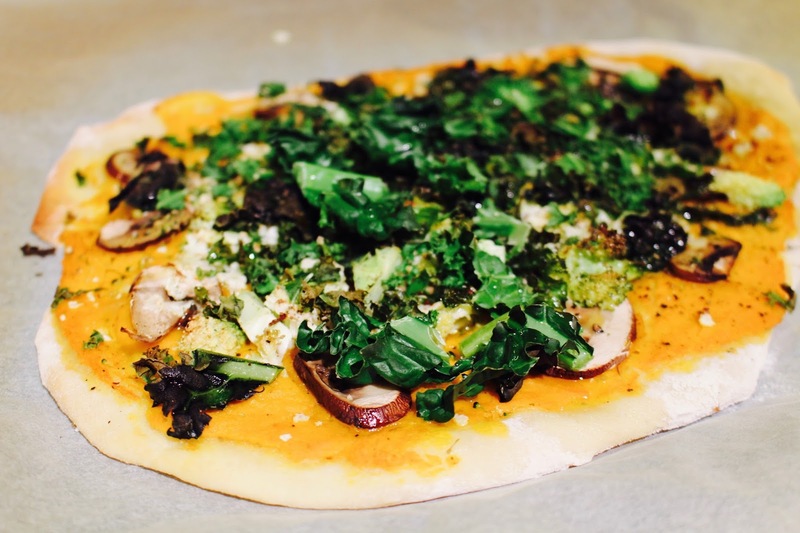 So I re-created Otomat's Mega Vega pizza at home and I'm sharing the recipe with you! Start by making the dough using this recipe, and let is rest to prove. Now it's time to make the sauce. Peel and chop the carrots and cook them in boiling water until they're soft. Drain the carrots and put them in a food processor. Add a dash of oat milk (or any other milk), a bit of olive oil, salt, pepper and the chopped fresh ginger. 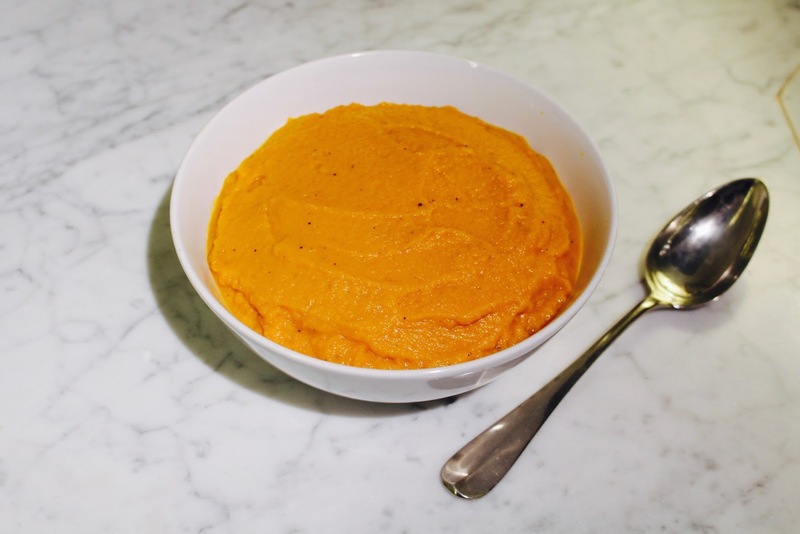 Process until you have a smooth, easy to spread puree. It shouldn't be too runny but also not too thick. Add some more oat milk if it's too thick. Now it's time to prep the toppings. 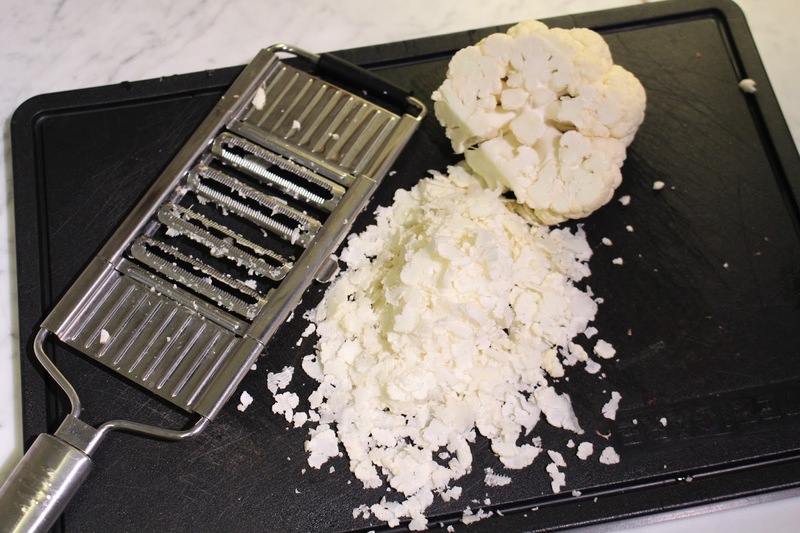 Use a mandoline to slice the cauliflower into parmesan-like bits. Cut the broccoli in small pieces and slice the mushrooms. 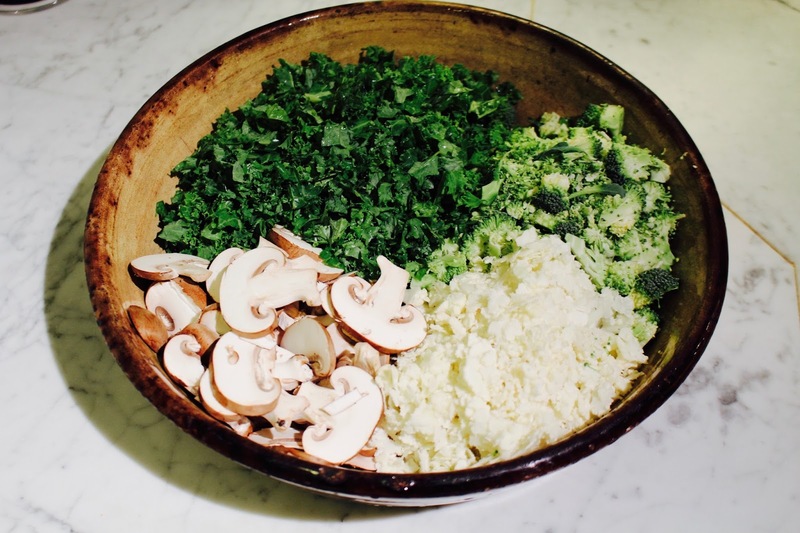 Place everything (including the kale) in a bowl like in the picture above. Once the dough has risen, roll it out into four flat pizzas. Spread the carrot puree on top of the base and smooth it out. Add the toppings and finish off with a sprinkle of salt, pepper and chili flakes. Pop into the oven for about 12 minutes and finish off with a dash of good olive oil or spicy oil (truffle oil is also heavenly!) 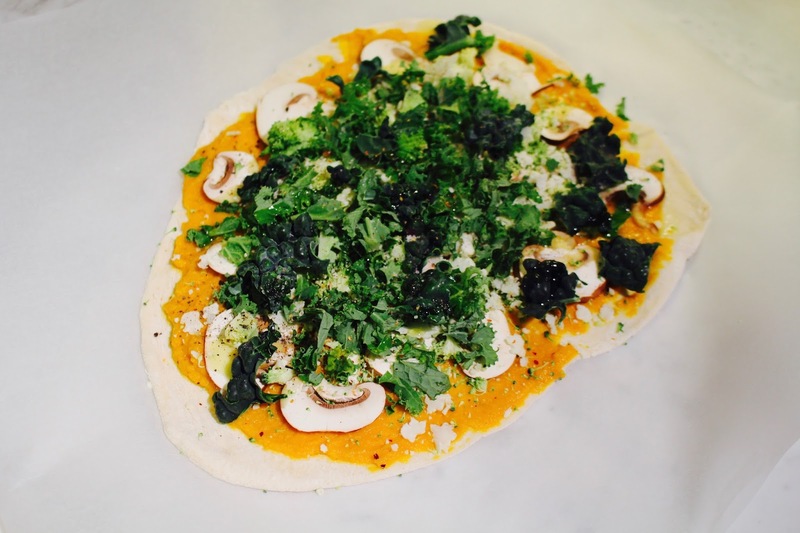 You can also add a little bit of fresh kale on top in the end! If you love Otomat's Mega Vega pizza as much as I do, then you should definitely try this recipe at home. 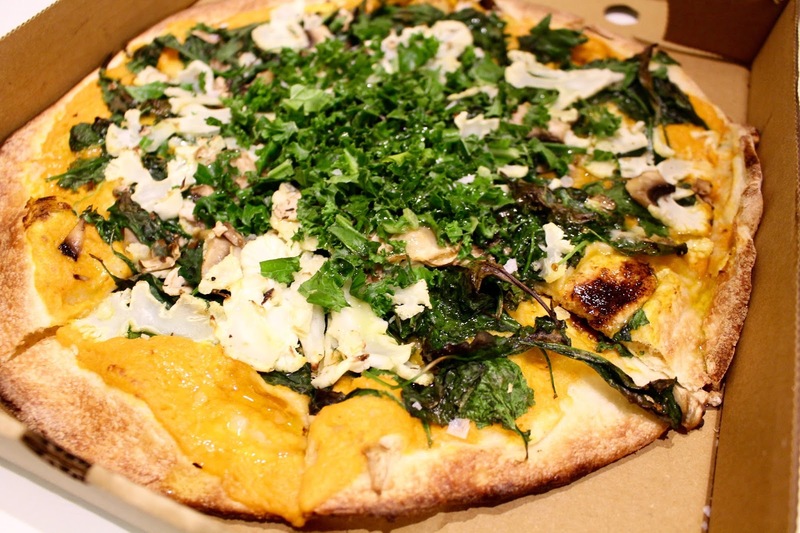 It's nothing like a classic pizza, but it's something different and super delicious. 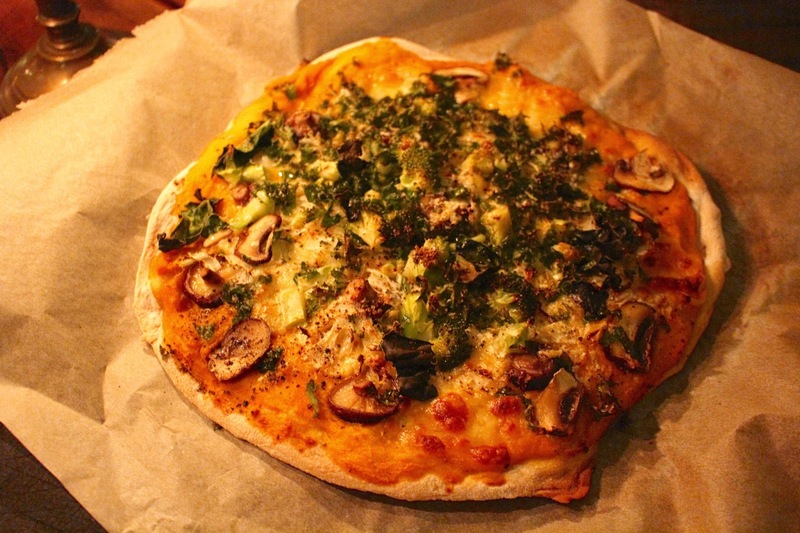 You could also add mozzarella to this (or vegan cheese) if you'd like something cheesier. Let me know when you've given it a try!